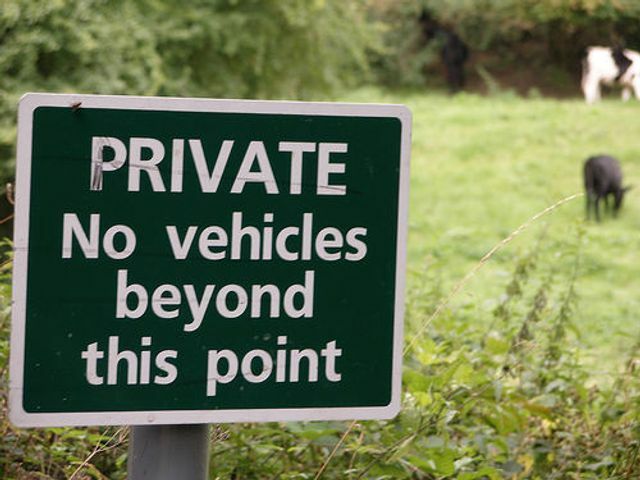 Do you allow a neighbour to park on your property or access your land as a right of way? You may not be aware that allowing this (or merely not preventing it) can have serious repercussions for you. Your neighbour may be able to claim that they have a legal right of way (also known as a prescriptive easement) which will mean that they will have a legal and permanent right over your land. Examples of this include a right to cross your land, park upon your land or use it for a specified purpose. You must therefore ensure that any permissions you give or activities which you allow (either by your actions or inaction) do not amount to a legal right of way. A legal right of way is acquired through 20 years of uninterrupted use of the land and the use must be as of right i.e. no secrecy, no permission and no force used and the use of the land need not be exclusive. Worryingly, a legal right of way can be acquired through previous owners/users of the land to form the 20 years of use. When purchasing a property, ensure that your solicitor raises the necessary enquiries so that you can be aware of any rights of way in existence or any that could form once you have purchased the property. If a prescriptive easement is proven, it will be binding on your property; it must be listed as a notice on your title and will be a legal right. The easement will bind not only you, but also future purchasers of your property and you should inform your mortgage company (if applicable). It may mean that the value of your property decreases as there are additional burdens on your land. It is worth considering the above next time you are approached for anything that could amount to a right of way, so that your friendliness towards your neighbours does not leave you with a permanent change to your land.